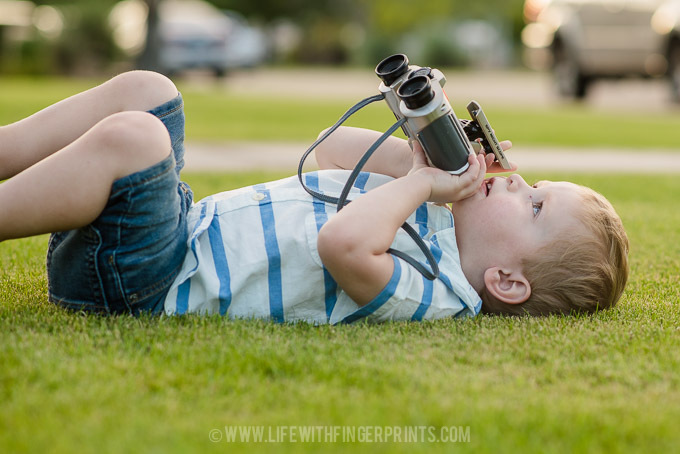 He carried these binoculars around for quite some time. I tried looking through them and couldn’t make out anything. But he clearly saw something because they were glued to his face. He’s just exploring the world around him. Childhood is too short.